Another great time to make this is after the trick-or-treating. Use up all that candy your kids bring home. 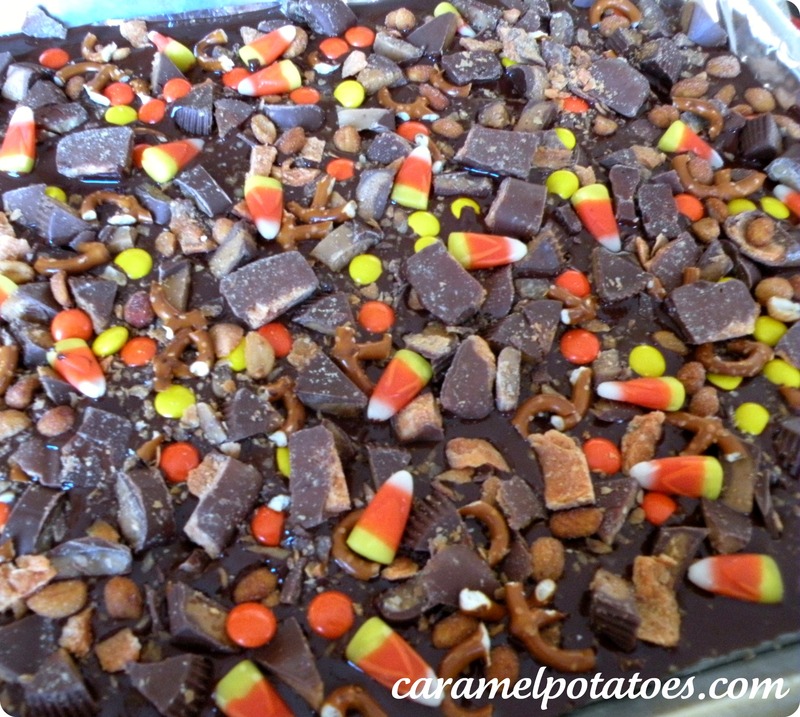 They will probably have enough candy in their bags to make several batches of bark. The fun thing is you can experiment with this. Swap out one candy for another-use what you have. The recipe is just what I used but you could make this totally your own. Line baking sheet with foil. 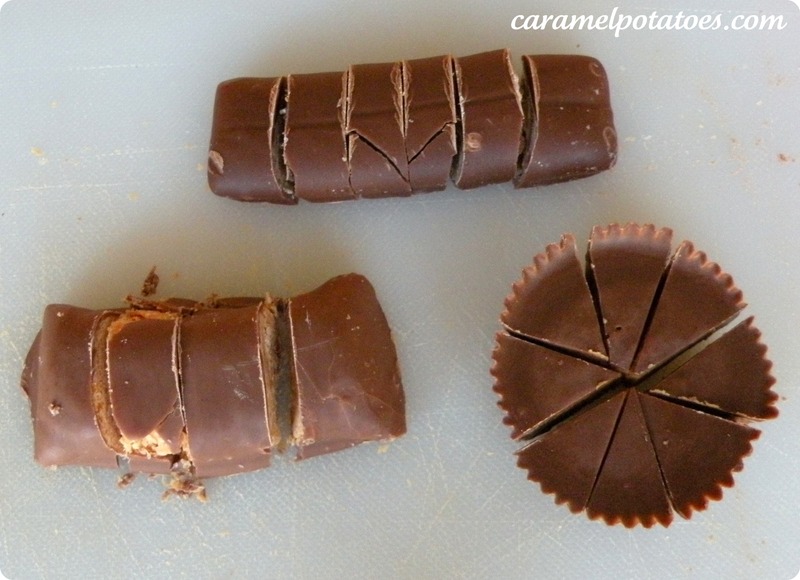 Cut Butterfingers into 4 pieces, Heath bars into 6 pieces and Reeses peanut butter cups into 8 wedges. In a medium saucepan, melt bittersweet chocolate chips over low heat until melted and warm. Stir frequently to avoid burning chocolate. Pour chocolate onto foil; spread to 1/4-inch thickness. 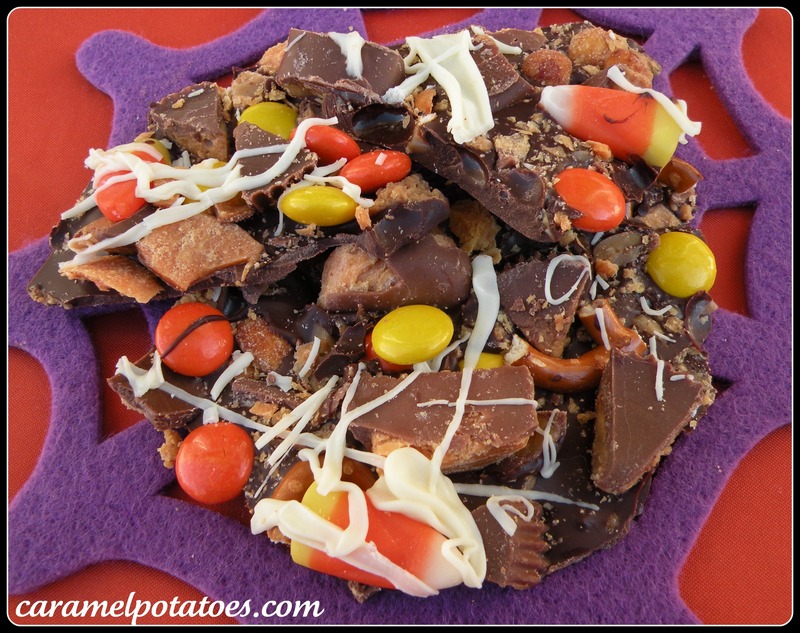 Sprinkle with candies, peanuts, and pretzels making sure all pieces touch melted chocolate to adhere. Place chocolate in fridge and cool for 30 minutes. Put white chocolate in small saucepan. Stir constantly over very low heat until chocolate is melted. (This can also be done in the microwave, just be sure to stir every 10-15 seconds.) Remove from heat. Dip spoon into chocolate; wave from side to side over bark, creating zigzag lines. Chill bark until firm, 30 minutes. Break into irregular pieces. Wrap some of this up and give it away before you eat the entire pan. 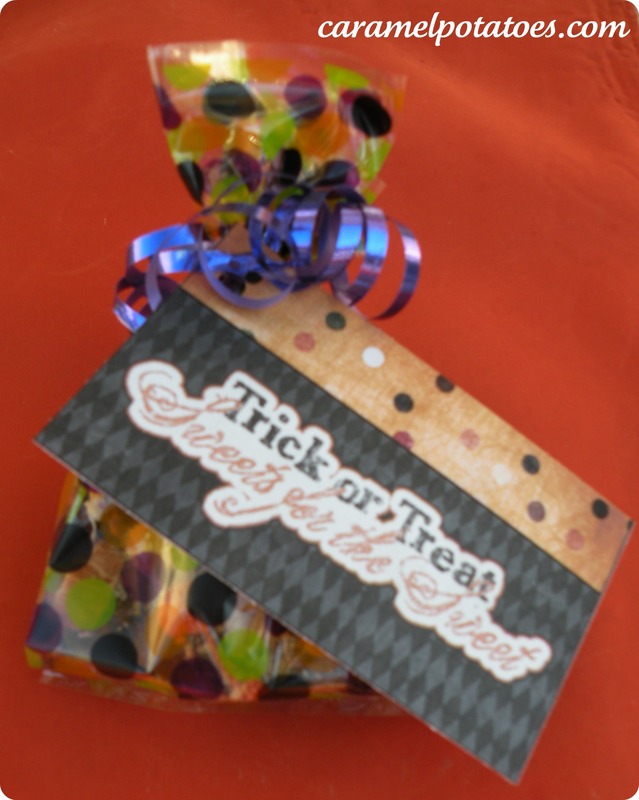 Place the candy into a tin, wrap it in cellophane, a goody bag, or whatever you like to use and attach a cute tag. You can download our Halloween tags here and another one here. The winners have been contacted by email. Thanks so much to everyone who entered! super cute love the way this looks, going to pin it! fantastic! 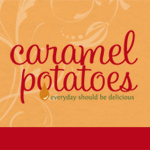 Pinned to my recipe board and definitely will try this out for other holidays! Wow! Pretty and (I’m sure) tasty. That’s a hard combination to beat. Very good details could be observed on this website blog….